A Quartz Countertop Adds That Elegant Style To Your Home That You’ve Been Looking For. Of all of the decisions you’ll make when remodelling your kitchen or bathroom, choosing the material for your countertops is perhaps the biggest. Especially if you have a large expanse of kitchen countertop space, this will likely become the focal point, so you want to choose wisely. Various materials have their pluses and minuses. Marble looks beautiful, but what about stains and etching? Concrete is interesting, but it comes with its own set of installation and maintenance concerns. Of all the countertop materials, quartz stands above the rest as having a long list of benefits and very few drawbacks. 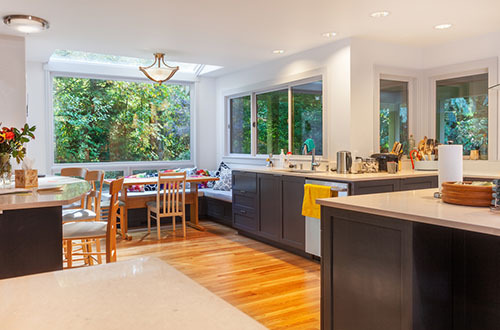 Here are the top 3 reasons why you won’t regret choosing quartz for your countertops. None of this is a problem because quartz is one of the hardest material in the market. It’s been engineered with natural quartz to withstand the brunt of everything life can throw at it. Quartz can take a beating, as it is highly resistant to scratching and stains. It’s nonporous and can withstand impacts better than that would damage more delicate countertop materials such as marble. Simply cleaning it with a mixture of mild soap and water will work for daily cleaning. 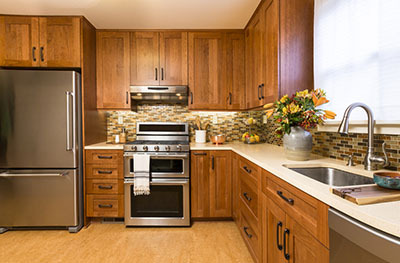 As durable as quartz can be, homeowners should be aware that it is not extreme heat resistant. Hot roasting pans and skillets should never be placed directly onto a quartz countertop. With quartz, you aren’t limited to colours that only occur naturally (as you are with a material such as granite). Quartz manufacturers can create countertops in virtually any colour or pattern imaginable. If you prefer a more natural style, there is quartz available that mimics the look of marble or granite. No matter your design aesthetic, you’ll be able to find quartz that will look perfect for any project. Thick-cut, white quartz countertops will look amazing in your new farmhouse-style kitchen. For a spa-like bathroom, use quartz in muted tones on the vanity counters. Quartz isn’t just for countertops, though. You can use it in your shower. A quartz backsplash in the kitchen adds visual appeal, while quartz ledger panels above a fireplace look absolutely stunning. Speaking of visual appeal, updating your Toronto home with brand-new quartz is a particularly good idea if you’re thinking of selling it anytime soon. Because quartz is less expensive than natural stone, using it is a cost-effective way to update your house and wow potential buyers. Even if you’re not planning to sell, remodelling can help you get more personal enjoyment out of your home. Because quartz is relatively inexpensive and virtually maintenance-free, it makes moving forward with a remodelling project a much easier decision. And since it’s available in such a wide variety of colours, you’re certain to find a quartz that will dazzle everyone who enters your kitchen or bathroom. No matter the project, there’s a quartz out there that will be perfect. Why not take a look? Is Quartz a Safe Material for Countertops? Are Quartz Countertops Right for Your Kitchen? 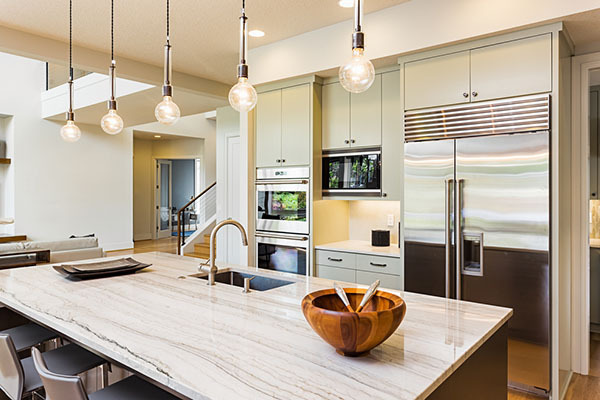 Granite vs Quartz Countertops: Which Material is Best?